no-racism.net: URGENT DISTRESS: nearly 24 hours at sea - coastguards did not react. They left from the town of Assilah, west of the Moroccan coast, at 4 am CET. Their engine soon stopped working and they began drifting southerly. The passengers asked us to inform the Spanish Salvamento Marítimo at 11am. Less than one hour later the situation in the boat was so bad that the passengers asked the Alarm Phone to inform the Moroccan Marine Royale. We did so at 11:45 am. 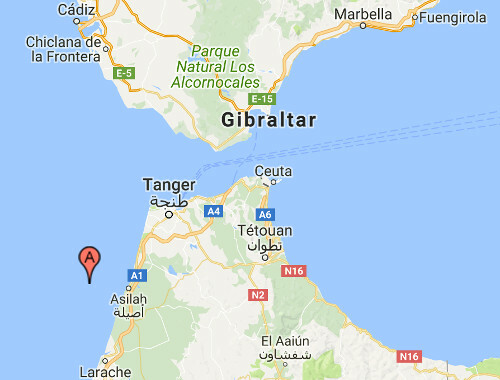 Neither the Moroccan nor the Spanish rescue authorities reacted, even though the passengers were in a high level of distress and a GPS position for the boat was available. Source :: alarmphone.org, 01. Sep 2017.